Mutation testing is a technique for systematically mutating source code in order to validate test suites. It makes small changes to a program's source code and then runs a test suite; if the test suite ever succeeds on mutated code then a flag is raised. I'll begin this presentation with a description of the theory behind mutation testing, and then I'll move into an analysis of Cosmic Ray, a tool for mutation testing in Python. While some of the details of this presentation will necessarily be Python­ specific, the concepts and lessons are broadly applicable and should be interesting to anyone involved in producing software. 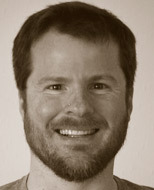 Austin is a founding director of Sixty North, a software consulting, training, and application development company. A native of Texas, in 2008 Austin moved to Stavanger, Norway where he helped develop industry-leading oil reservoir modeling software in C++ and Python. Prior to that he worked at National Instruments developing LabVIEW, at Applied Research Labs (Univ. of Texas at Austin) developing sonar systems for the U.S. Navy, and at a number of telecommunications companies. He is an experienced presenter and teacher, having spoken at numerous conferences, software groups, and internal corporate venues. Austin is also an active member of the open source community, contributing regularly to various Python and Emacs projects, and he's the founder of Stavanger Software Developers, one of the largest and most active social software groups in Stavanger. Austin holds a Master of Science in Computer Engineering from the University of Texas at Austin.